A Minnesota legislator for eight years, local businessman and community leader Cy Thao has returned to his first passion, art. Cy, who came to the US after the Vietnam War, came to a realization during college about his disconnection from his own history. After 5 years of work, he completed a series of 50 paintings entitled The Hmong Migration depicting the story of Hmong coming to Minnesota. 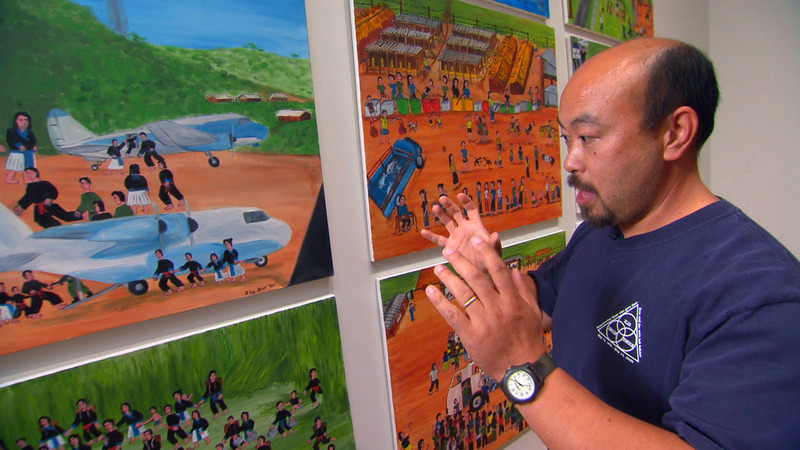 Cy Thao and his series of 50 paintings, "The Hmong Migration"